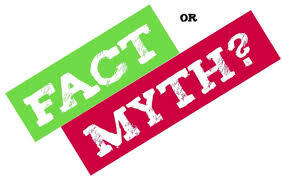 Why Rove are busting the myths about apprenticeships! Rove have been delivering apprenticeships for nearly a decade and we have learned a thing or two about the people who do them and the organisations who recruit them. There is cause to celebrate the many benefits that apprenticeships can bring to an organisation and we use the slogan ‘Get in and Go Far’ as we believe that an apprenticeship is a brilliant way to gain the skills and knowledge needed for a rewarding career. Businesses don’t like taking apprentices on. Apprenticeship participation now stands at a record level – 899,400 funded apprentices participated on an apprenticeship in the 2015 to 2016 academic year. Almost 9 out of every 10 apprenticeship employer hoping to achieve business benefits tell us that apprenticeships deliver – including 75% reporting that it has helped their business improve the quality of their product or service. Apprenticeships are for people who want to work manual industries. Not now. The diversity of apprenticeships has grown tremendously. The NHS Trusts we work with are a great example. In that single employer alone the job choices are as diverse as jobs can be from nursing assistants, cleaners, porters to business administrators and managers. Listen to these stats…. Apprenticeships are available in 1500 job roles, covering more than 170 industries, from advertising to youth work and from environmental engineering to legal. More than 2,600 employers are involved in designing the new apprenticeships standards. Apprenticeships are for those who didn’t do well at school and can’t do anything else. And they are only available to school leavers. There have been 4,300 starts on new standards in occupations such as Software Developer and Aerospace Engineer. After finishing, 7 in 10 apprentices (77%) stay with the same employer. 46% of apprentices had received a pay rise since completing their apprenticeship. 36% of higher apprentice’s report getting a promotion after completing their apprenticeship. Maybe in days gone by. Quality is at the heart of many organisations and since employers are more than ever involved in the design of the apprenticeship programmes and they are bespoke to their organisation quality is high and continues to be a real focus for us at Rove. Apprentices have spoken…. There are currently 100 higher and degree apprenticeships available, with more in development, including foundation degrees, HNDs and full honours degrees. These include job roles ranging from legal services to banking and engineering. Individuals with an advanced apprenticeship earn between £77,000 and £117,000 more over their lifetime than similar individuals with Level 2 qualifications. Those completing a higher (degree level) apprenticeship could see increased earnings of an estimated £150,000 over their lifetime. Not bad statistics at all. We regularly get feedback from all our apprentices on programme and the numbers do add up.